I found this awesome coupon here on the Coupons.com offer of the week on Venus Razor coupons. This week only, use the online coupon from Coupons.com to take $2.00 off any one purchase of a Venus Razor that costs $7.95 or more. The coupon excludes disposables razors from Venus. 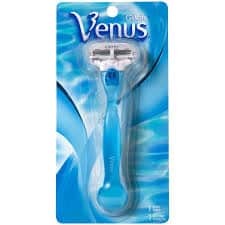 I know first hand that awesome Venus Razor coupons like these don’t come around often, ladies. So, don’t waste this one! Head over to Coupons.com website, and clip your coupon out right away.